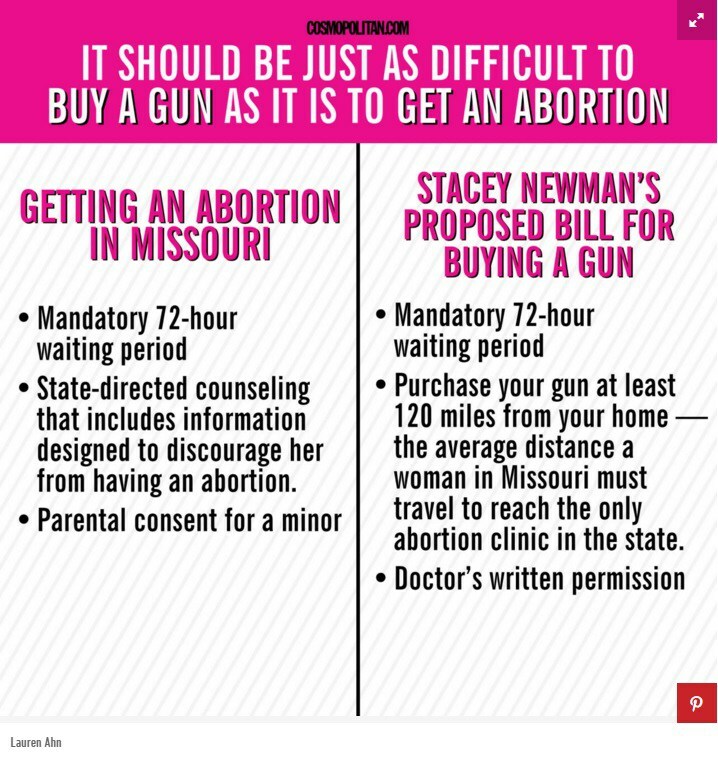 Stacey Newman is a member of the Missouri House of Representatives, and she’s tired of seeing Republicans pass restrictive laws in her state to make it nearly impossible for a woman to get an abortion while making it ever easier for virtually anyone to purchase a gun. Should you want to buy a gun, you would have to wait a mandatory 72-hour waiting period. You might change your mind in that time. You must have written permission from a doctor. You have to purchase the gun at least 120 miles from your home. That’s the same average distance most women in Missouri have to travel for family planning services. Those wanting a gun would be required to view a 30-minute video on fatal firearm injuries. You would have to visit a an emergency trauma center that treats gun violence victims. You have to see at least two faith leaders who have officiated at the funerals of gun victims under the age of 18. Sounds reasonable to me. 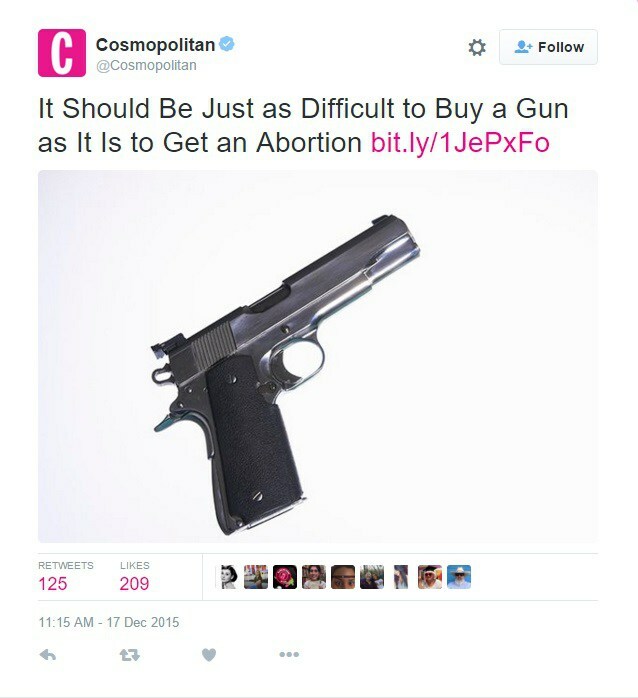 If a person has to undergo the onerous steps required in order to do with her body what she chooses, then why not make it just as difficult to purchase a weapon of mass mayhem? Granted, Newman’s bill won’t pass in Missouri, but at least it sheds light on the horrible way in which legislators seem to relish abridging the Constitutional rights of some while endlessly defending those of others. This entry was posted in Gun Nuts, Politics, Reproductive RIghts in America and tagged GOP War on Women, Guns in America. Bookmark the permalink.